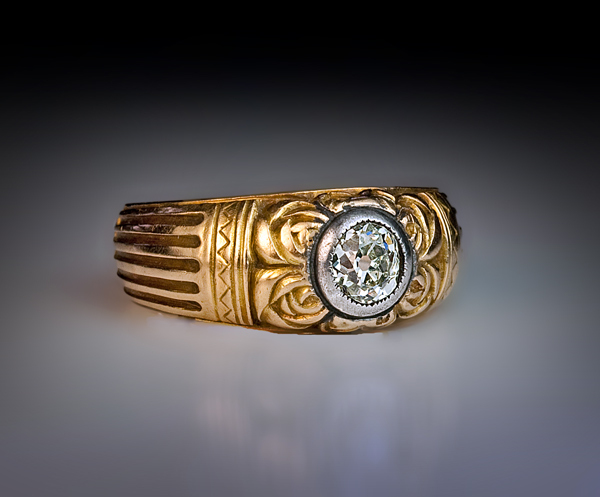 The design of this unique Russian Imperial era greenish yellow gold ring is clearly influenced by the Art Nouveau style of the period. 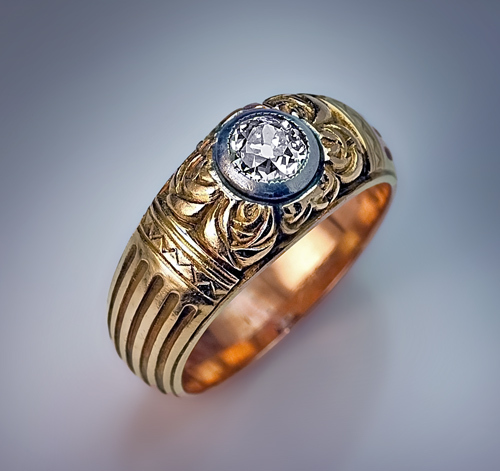 The ring is centered with an antique cushion cut diamond (4.75 x 5.7 x 3.5 mm, approximately 0.80 ct, color M, clarity VS1) set in a milgrain silver bezel. 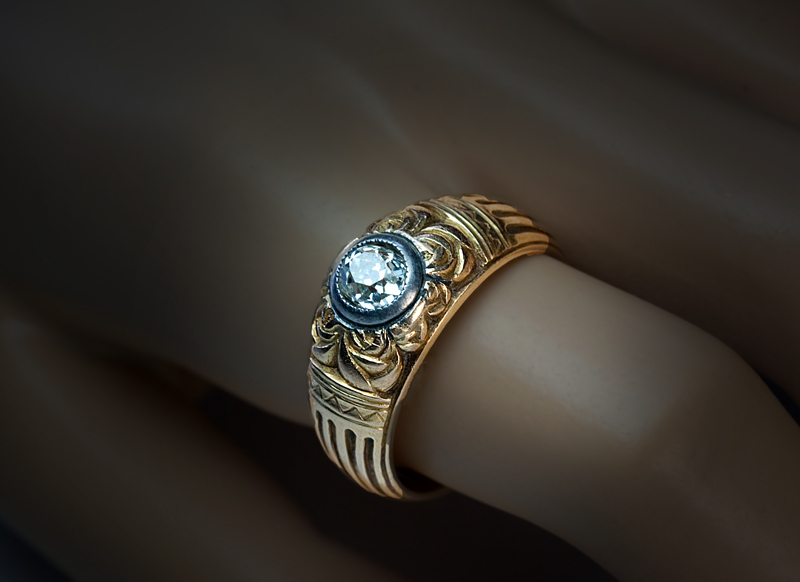 The diamond is surrounded by six stylized roses carved in gold, flanked by hand engraved zig zag borders and carved fluted shoulders. 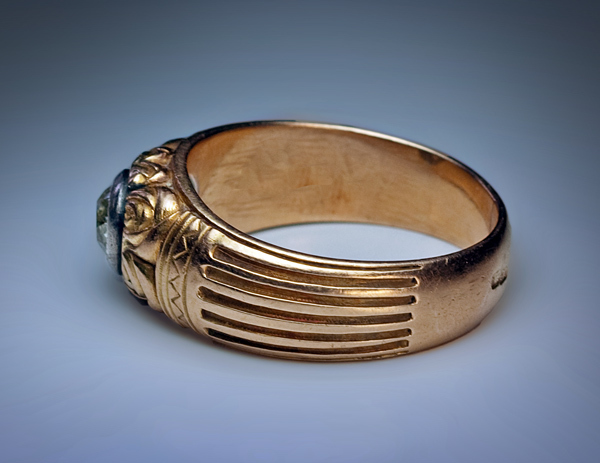 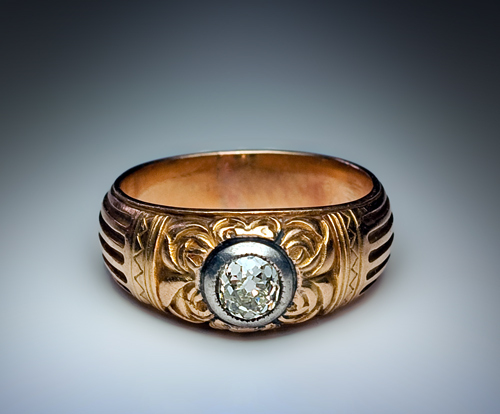 In Russia, floral motives were frequently used to decorate men’s rings. 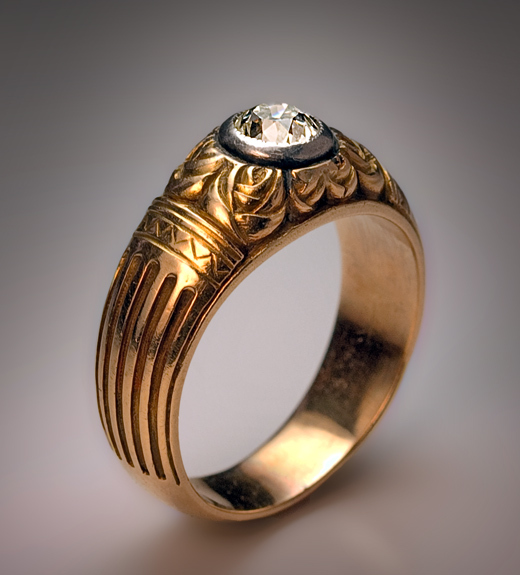 The ring is marked with 56 zolotnik gold standard (14K).